(VEN) - France has maintained its position among the top five European importers of Vietnamese goods for many consecutive years. Trade relations between the two countries are expected to grow more strongly in the time to come when the EU-Vietnam Free Trade Agreement (EVFTA) officially takes effect. Trade relations between Vietnam and France have been developing in a favorable direction to Vietnam, and this trend is predicted to continue in the coming time because Vietnamese exports to France mostly include basic consumer goods. The Vietnam Trade Office in France said trade between the two countries continued to grow in 2015, with Vietnamese exports to France reaching US$2.9 billion, a rise of 28 percent compared with 2014. Major exports included mobile phones, textiles and garments, footwear, wooden furniture, coffee beans, and cashew nuts. Vietnam imported US$1.8 billion worth of French products, a rise of 53 percent compared with 2014, including pharmaceuticals, materials for animal feed production, milk and milk products, and cosmetics. These were encouraging results in the context of numerous difficulties still facing the French economy. 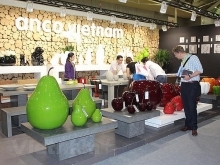 Vietnam has maintained its position as a strong exporter in recent years. With high market capacity and purchasing power, France is an important trading partner for many kinds of Vietnamese exports. However, except footwear and mobile phones with a 10 percent market share, most other Vietnamese exports to France hold only a modest share of 1.5-2.5 percent, of the local market. Many kinds of Vietnamese products have faced competition from goods of the same categories made in EU member countries and imported tax-free into France, and products from developing countries that are offered preferences under the EU’s Generalized System of Preferences. “When the EVFTA takes effect, it will gradually eliminate 99 percent of tariff lines currently applied to imports, exports between Vietnam and the EU. 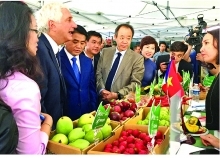 This will help enhance the competitiveness of Vietnamese products in the French market. Vietnamese exports to France will surely increase along with rises in capital flows and foreign investment in Vietnam in the time to come. 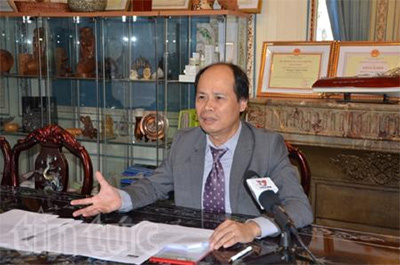 The 300,000-strong Vietnamese community in France will possibly become a factor contributing to this trend,” said Nguyen Canh Cuong, former Commercial Counselor at the Vietnam Trade Office in France. Textiles, garments, footwear, wood, agricultural products and seafood are expected to benefit the most from the EVFTA. 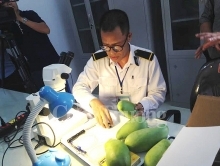 Vietnam can increase output and improve the quality of these products so that they can compete with exports of the same categories from other countries to France. Vietnamese businesses are expecting much from the EVFTA because it will reduce many kinds of EU taxes on Vietnamese goods to zero percent. When this becomes a reality, Vietnamese products will become more competitive in France and other EU markets, and Vietnamese exports to these markets will grow strongly. Cuong warned that the EVFTA requires Vietnam to open the market for many kinds of EU products to enter. Vietnamese businesses will face new competitive pressures that require them to change current models of production and trade. New, dynamic, creative businesses will have more opportunities to develop, while old businesses with outdated technologies, cumbersome organizational structures and low efficiency will need to accelerate reforms, improve technologies and management, and change their development models. If they do not take timely action, these businesses will go bankrupt. When the French market is open wide to Vietnamese goods, Vietnam will possibly face growing risks of trade disputes and anti-dumping lawsuits. To increase exports to the EU, Vietnamese businesses need to manufacture according to European standards and expand cooperation with distributors in Europe. Overseas Vietnamese businesses in Europe can act as a bridge and aid domestic businesses in grasping new opportunities from the EVFTA.